I whipped up this cute little number last night for a little girl who's about to become a big sister. 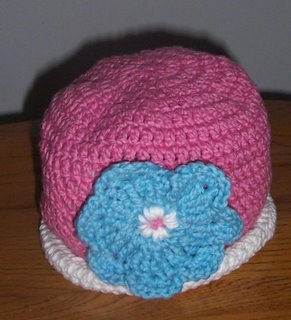 I made the Faie Isle baby hat with the I cord knot on the top for baby brother who will be here no later than Friday. Big Sister's name is Caroline (pronounced with the long i sound) and she'll be 2 in June. 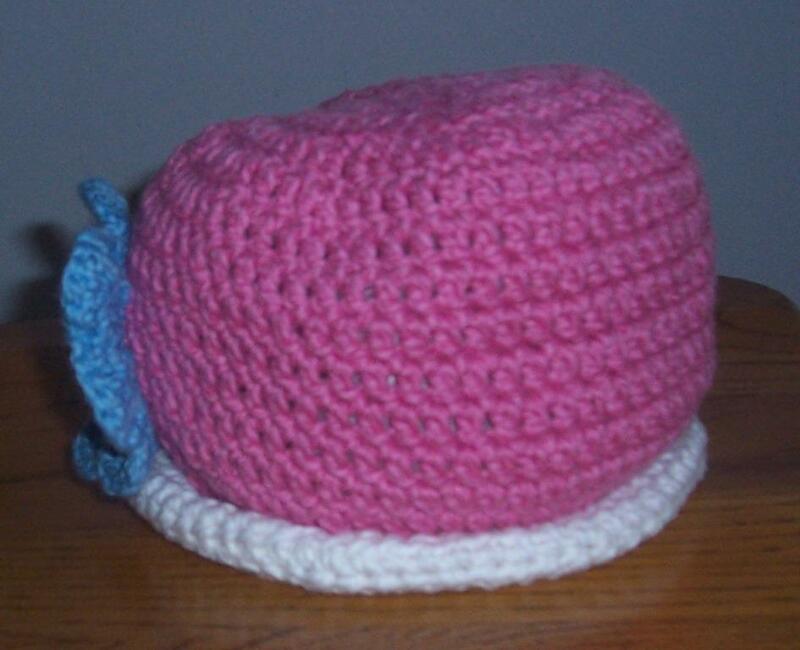 I got the pattern from Crochet with Dee and modified it slightly by not crocheting in the back loops and eliminating the sprial trip. I added a flower for this little girly-girl. It's a bit large scale but is fun and over the top! The yarn is Bernat Cotton Tots in Strawberry, White and Blueberry. I stuffed it with gift tissue but I guess I didn't even it out so it tends to look a bit "wonky" in the picture on the right, but I assure you it came out even! Best of all the mom of the recipients loved them! I think I may have to name this creation "Caroline" because it just seems to fit perfectly.